During the Second World War, foods were rationed. People received a coupon booklet exchangeable for meat. A meat coupon worth 8 tokens. If the customer wanted half the ration, the butcher handed him four tokens that could be used later. 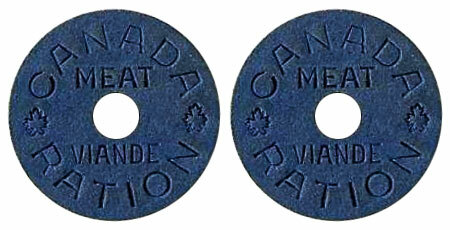 The tokens were used across Canada.